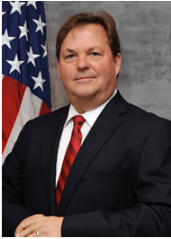 William (Bill) Farmer has served in all levels of assignment in the Acquisition community from ISEA, to APM, PAPM, and multiple Deputy Program Manager (DPM) tours. He is a member of the Navy’s Acquisition Professional Community with a Level III Certification in the Program Management Field. Bill currently serves as the Deputy Program Manager in PMW 160. Under his guidance, PMW 160 designs, develops, acquires and fields the foundational systems that collectively provide the platform upon which the Navy’s afloat Information Warfare (IW) missions are executed within the tactical domain. Responsibilities include Cost, Schedule, and Performance management for the ACAT 1 CANES and ACAT 2 ADNS Programs of Record. Prior to his current assignment Mr. Farmer served as the DPM in the Fleet Readiness Directorate with a primary focus to improve C4I Fleet Readiness, LCS C4I Platform Sustainment, Fleet Cyber Readiness, and In-Service program management to legacy C4I systems. Prior to that he was the DPM in the PMW 760 Ship Integration program office with responsibilities to provide integrated C4I systems in support of New Construction and Fleet Modernization Plan efforts. Assigned to PMW 160 from 2005 to 2010, Mr. Farmer served as the Acquisition Manager, Director of Operations, Principal APM for CANES, ISNS, SCI Networks, SubLAN, and CENTRIXS-M. Mr. Farmer’s efforts were instrumental in the establishment and program initiation activities associated with the Consolidated Afloat Network and Enterprise Services ACAT I program. Bill was the APM for the ADNS (Automated Digital Network System) program for 4 years. Under his leadership ADNS deployed Increment II, IIa/IIb, and III systems providing Wide Area Networking (WAN) connectivity to over 200 afloat, shore, and aircraft platforms. Prior to Mr. Farmer’s experience in IP based LAN/WAN Networking systems, he held numerous positions which leveraged his experience in Communications and RF systems. Bill was the APM for the Digital Modular Radio (DMR) steering the program through a successful Milestone C and deployment on 18 Afloat Platforms. He also served as the APM for the ARC-210 Radio Communications Systems. During his timeframe with the ARC-210 program, he created a partnership with NAVAIR and NAWC AD to deploy this previously Airborne “only” capable radio to 14 US Navy Ships as part of New Construction Efforts on DDG-51 and CVN 76/69. Concurrently with his APM responsibilities for the ARC-210 and DMR Radio Suites he also was the SCN Coordinator for all activities across SPAWAR PD 17 (former PMW's 176, 173, and 179). Mr. Farmer retired from the US Navy in June 1995. His first Civil Service assignment was as the ISEA (In Service Engineering Agent) of the UHF SATCOM WSC-3 Program at Systems Center San Diego in 1997. He transitioned to PEO C4I in 1999. Mr. Farmer was born in Gadsden, Alabama and earned a Bachelor of Science Degree in Education, Training, and Development with an emphasis in Technology from Southern Illinois University in 1991. He has completed the Navy Senior Leader Seminar at NPGS, the Advanced Program Managers PMT 401 and 402 courses, and the Federal Executive Institute’s LDS (Leadership in a Democratic Society) program.